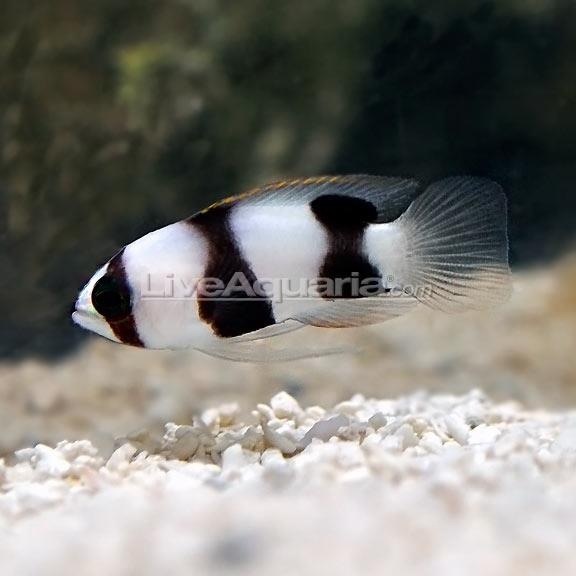 For the first time in LiveAquaria’s long and diverse history, and probably the first time in US history, the amazing and über rare Curacao Deepwater Banded Basslet (Lipogramma evides) will be finding its way from the extreme depths of the Caribbean to the popular Diver’s Den section of the online retailer’s website. As far as basslets go, this one of a kind fish is beyond rare, and as of two years ago there was only one of them known to be in captivity! To no surprise, that fish was quickly sold in Japan by B-Box Aquarium to the tune of $3000. Fortunately for US-based fish keepers, this individual probably will probably stay stateside and might not push too far north of $2000, or at least that’s what we’re hoping to see. At this point, you might be asking why this cichlid lookalike is so pricey. The fish’s rarity is primarily caused by its habitat. The L. evides basslet is native to the extremely deep waters surrounding Curacao, which is home to many other extremely rare fish as well, and those depths often require special equipment and skills just to dive to. Heck, some fish collectors have even been using submersibles to cruise the depths. Regardless, the fish is rare and therefore commands a beefy price tag. In terms of beauty, no image seems to capture the fish’s amazing colors well. The stark contrast between the vertical black and white bars, while stunning enough on its own, is complimented with even more beautfil blue fins.